Don't be left in the bunker this Father's Day – hit a hole in one with a golfing getaway for Dad at Peppers Retreats and Resorts throughout New South Wales and Victoria. Make Dad's day with a fantastic Peppers 'Stay and Play' package either as a Father's Day weekend getaway or purchase a Peppers Gift Card (www.peppers.com.au/giftcard) and book at your convenience. To book any of the below packages, call 1300 987 600 or visit www.peppers.com.au. 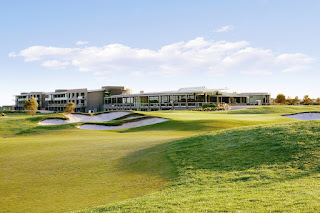 Peppers Manor House, Southern Highlands: Peppers Manor House, in the picturesque Southern Highlands, provides a perfect golf getaway with 'Stay and Play' golf packages from $299* per couple per night. 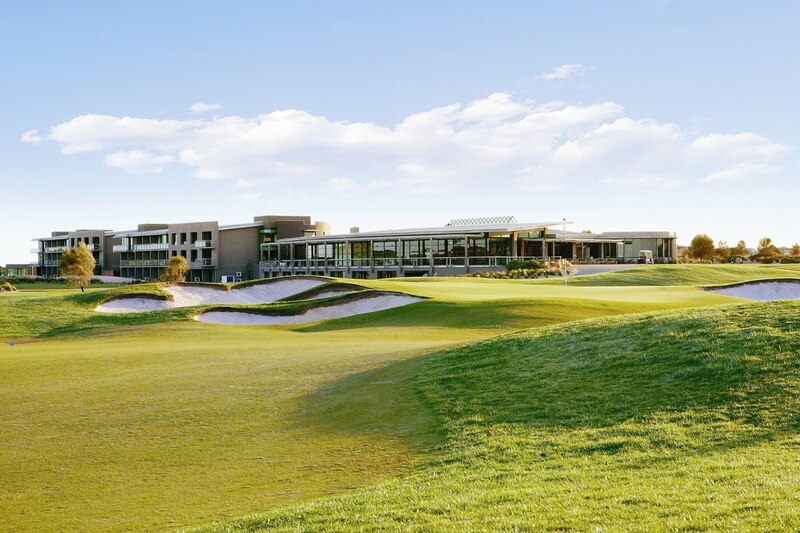 Each package includes overnight accommodation in a Hillside Room, buffet breakfast at the awarded Katers Restaurant and one round of 18 holes of golf for two on the estate's championship Mt Broughton Golf & Country Club course, reputedly one of the longest courses in Australia. Guests can also enjoy an array of first-class leisure facilities such as an onsite endota spa, swimming pool and tennis court. Valid for travel Sunday to Thursday nights until 31 March, 2013. Peppers Craigieburn, Bowral: Located on the edge of Bowral in the Southern Highlands, Peppers Craigieburn offers a wonderful setting for a relaxed golfing getaway for all levels of player. Dad can experience the retreat's private nine hole heritage golf course on a 'Stay and Play' package from $229* per couple per night. The package includes overnight accommodation in an Elms Wing Room, buffet breakfast and unlimited golf on the private Craigieburn nine hole golf course. Valid for travel until 31 March, 2013. Peppers Anchorage, Port Stephens: Delight Dad with a memorable golf getaway at Peppers Anchorage in beautiful Port Stephens. Priced from $299* per couple per night, the resort's specially crafted 'Dunes Stay and Play' package combines boutique overnight accommodation in an Anchorage Room, their signature breakfast for two and a round of golf at Pacific Dunes Golf Club - the region's top 18 hole championship golf course. Valid for travel Sunday to Friday nights (or Saturday nights for an additional $50 per couple) until 30 November, 2012. Peppers Moonah Links Resort, Mornington Peninsula: Acclaimed as 'the home of Australian golf', Peppers Moonah Links Resort is the ultimate destination for golf enthusiasts with two world-class 18 hole golf courses. Treat Dad to a well earned break with the resort's 'Stay and Play' package from $390* per couple per night, including luxury overnight accommodation in a Moonah Room, buffet breakfast in Pebbles Restaurant and 18 holes of golf including motorised cart hire. The resort also offers a range of leisure facilities such as an endota spa, tennis court, gymnasium and mountain bikes. Valid for travel until 31 March, 2013. Peppers The Sands Resort, Torquay: Peppers The Sands Resort also has an enticing 'Stay and Play' package that includes overnight accommodation in a Studio Room with complimentary upgrade to Studio View Room (subject to availability), full hot breakfast in Hanners Restaurant & Bar and 18 holes of golf at The Sands Torquay, a unique 18-hole links style championship golf course designed by Stuart Appleby that has been moulded into the Surf Coast sand dunes, plus a motorised cart and two baskets of driving range balls. From $286* per couple per night. Valid for travel until 30 October, 2012. Or, give Dad the opportunity to choose his perfect Father's Day gift with a Peppers Gift Card. Starting from just $50, treat Dad to a holiday gift at a Peppers property anywhere in Australia or New Zealand. Gift cards are available for purchase at www.peppers.com.au/giftcards and can be redeemed for accommodation and Peppers packages booked online. Peppers is Mantra Group's luxury level brand of accommodation. There are 28 Peppers Retreats, Resorts and Hotels in Australia and New Zealand in regional areas, resort destinations and metropolitan locations with the first Peppers in Fiji due to open in 2012. All offer a level of boutique style and quality to meet the expectations of the most discerning traveller. *Subject to availability. Block-out dates and minimum stays may apply. ecruising.travel - P&O 3Days Freaky Friday Sale! Scenic Tours Happy 4th of July Y'all!